A large luxurious recently built house. 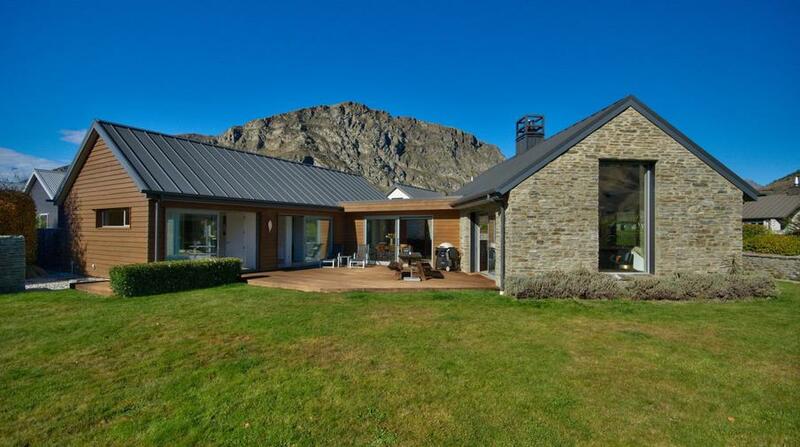 Great location only 4 mins to Queenstown or 7 mins to Coronet Peak ski field. Amazing indoor and outdoor living with stunning mountain views. Outdoor entertainment area and private spa pool. Double dish drawer, 5 burner Bosch gas cooktop, oversized Bosch oven with seperate Bosch warming drawer, double fridge freezer with water and ice maker. Cosy lounge area with Freeview, Apple TV, 3D DVD and Bose sound. Outdoor seating with BBQ on a large deck and flat lawn. Double garage with remote access. Parking for 5 vehicles on driveway. 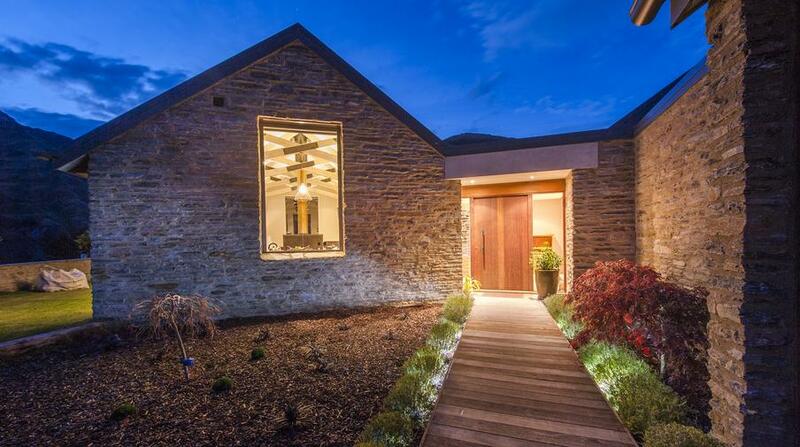 House is constructed of schist stone and cedar. Hire of port-a-cot, high chair, child seats available on request. 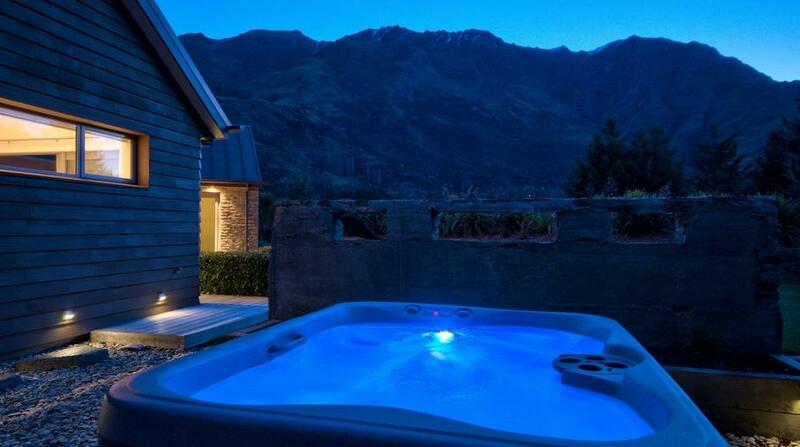 Spa pool with mountain views! Faux fur throws in each adult room. Garage for 2 cars and internal access. Walk to ten pin bowling, shotover jet, hotpools, restaurant and local pub. Guests qualify for access to The Hills golf club. Strictly no noise outside after 10:30pm. If you are entertaining inside after 10:30pm we require doors and windows to be closed to ensure noise levels are not breached. Pets must be approved before making booking. A security bond of $1000 is payable directly to the house manager before checkin and refundable after a successful post rental inspection has been taken out. A very nice affordable luxury holiday home that's well appointed with quality features like the fireplace, the bath, and some stone work outside. Connects easily to town, skiing, the Shot over Jet, walkways and ten pin bowling. Professionally managed. This place is a gem. A car is must and with that is a short drive to queenstown and all its activities. The place is brilliantly appointed with everything top of the line from cookware to everything else. Wonderful stay for our family vacation. A review can barely do justice to what a superb place this is. Thank you Dan. We take a lot of pride in ensuring our guests are satisfied! Thanks also for looking after the place. Beautiful luxury accommodation. My family and I were very happy during our stay at the property. The owner has everything you need from seasoning and oils for cooking to hot water bottle's. We attended a wedding and had over 40 family members staying on the area in various accommodation booked through different companies and all of them were impressed with the service we received from the owner. The only suggestion we would have is a visitor log allowing guests to write useful tips on the area. Fantastic property, very comfortable and a pleasure to stay in. Nice and close to Queenstown without being in Queenstown, looking forward to coming back. Beautiful property to stay at. Property Manager turned on the outdoor spa for us so on arrival it was ready to jump onto. Location is outstanding. The house met our needs beautifully, spacious and comfortable for two families, very well equipped, stunning location, loved the comprehensive compendium that covered everything...would happily recommend this property to others! Great luxury holiday house. We spent a good 3-night over there. 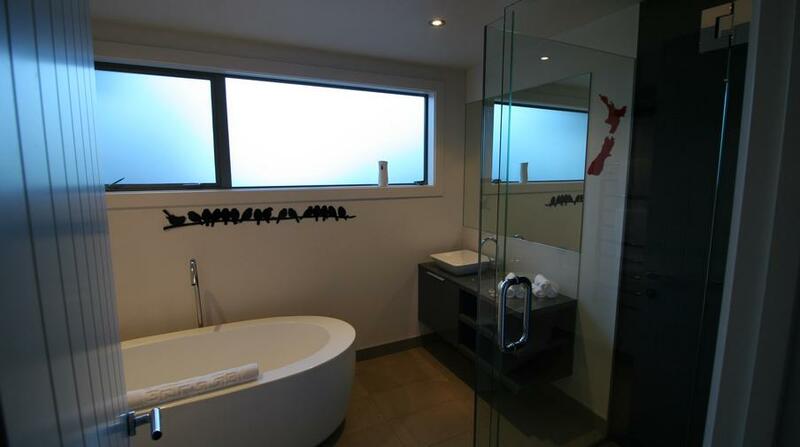 Handy location- 10 mints drive to Queenstown CBD, 9 mints drive to Arrow Town. Loved the house! We were two couples with two babies and the place gave each family plenty of space and privacy. 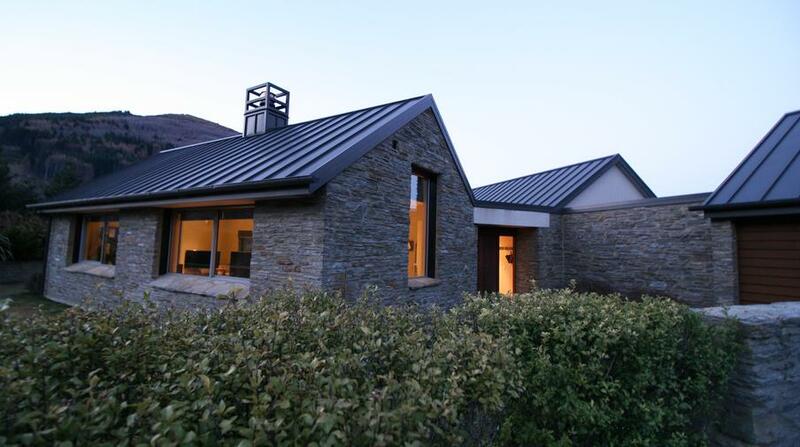 Lovely rooms, living area, fittings, and spa, and only a short drive to Queenstown and Arrowtown. Would definitely stay here again! 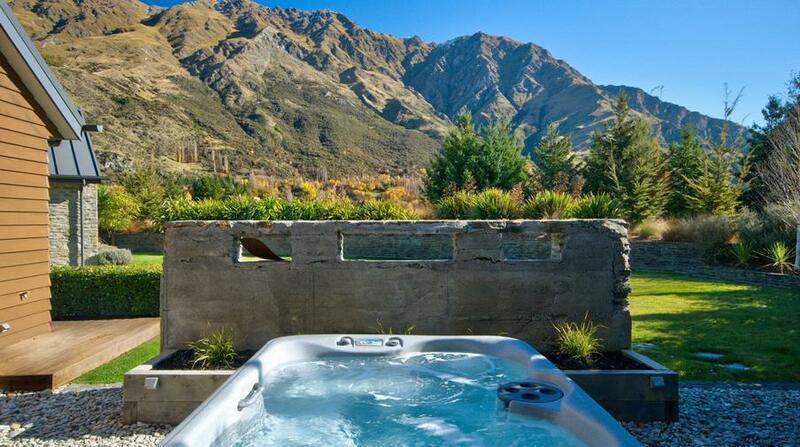 We had such an amazing time staying at the house in Queenstown! Everything was absolutely perfect and the house was even more beautiful that the photos suggested! It was warm and the views were stunning. We would stay here again in a heart beat and HIGHLY recommend this house! We loved our stay at Arthurs Point we travelled from Australia and stayed for a week in April. A perfect place to prepare for a destination Wedding. Beautiful features and plenty of room for 2 families. We will definitely be back and highly recommend. We loved staying at you house & it was a perfect base for our 2 weeks in Queenstown and big enough for our family of 5! Such a great location, close to ski fields, a quick drive into town & close to lots of other attractions too. We loved the open fire, the hot tub & the “kids” room away from the other bedrooms. Having a lovely big kitchen was also a bonus especially after a long day skiing & being too tired to go out to eat. We will definitely stay again on our next trip- thank you! We had two families stay in here and it was very comfortable. They were generous with extra towels and plenty of staples in the cupboard. Much appreciated. Just around the corner to the ski fields as well. Amazing accommodation! Our guests thoroughly enjoyed themselves in this very well appointed home. Fantastic kitchen, beautiful beds for a great nights sleep. Thanks to Lisa for turning on the underfloor heating - such luxury. Brillant weather put on by Queenstown! Further outdoor furniture would have topped our stay. What a delightful week we had staying at this beautiful home. Very comfortable and spacious. The spa was an added bonus with a beautiful view of the snow capped mountains. Perfect for a girls week away!! Would definitely come back for another stay. One bathroom heater was not working but the Manager quickly provided us with one. The kitchen needs some bigger saucepans for a group of 7 people. The Manager provided us with one of her own but this is not a permanent solution. We would definitely go back to this property. Beautiful property in a convenient location. Ideal for two families - we had a great week thanks! great time, great place - thanks! Perfect house with amazing views. We really enjoyed our stay and the house was exactly what we were after. Lovely owner. Thank you. This is a lovely home that accommodated our 2 families well.